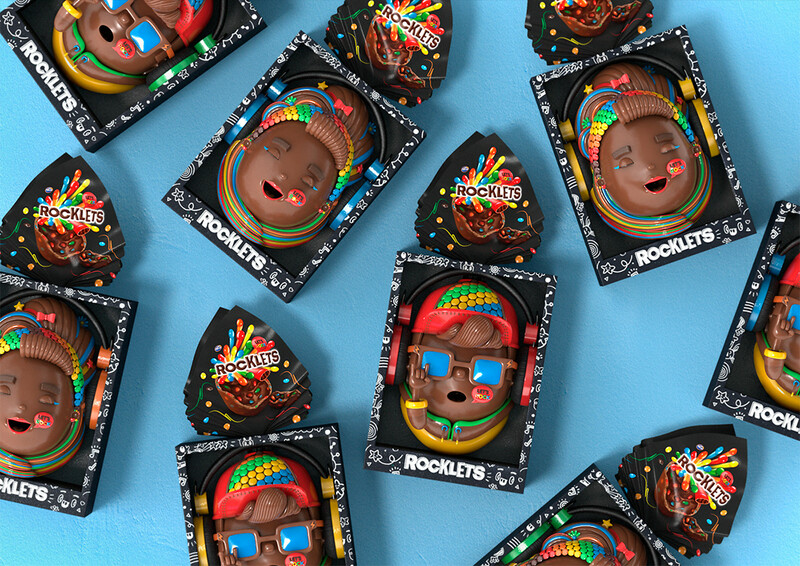 With more than 20 years of experience, Rocklets is the benchmark brand and synonym of chocolate confectionery category in Argentina and the entire region. 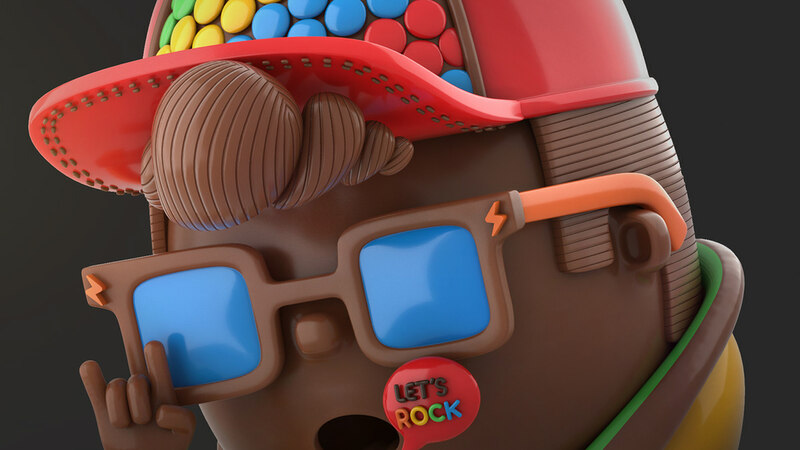 Rocklets brand appeals to kids and teenagers and means fun at all times and without rules. 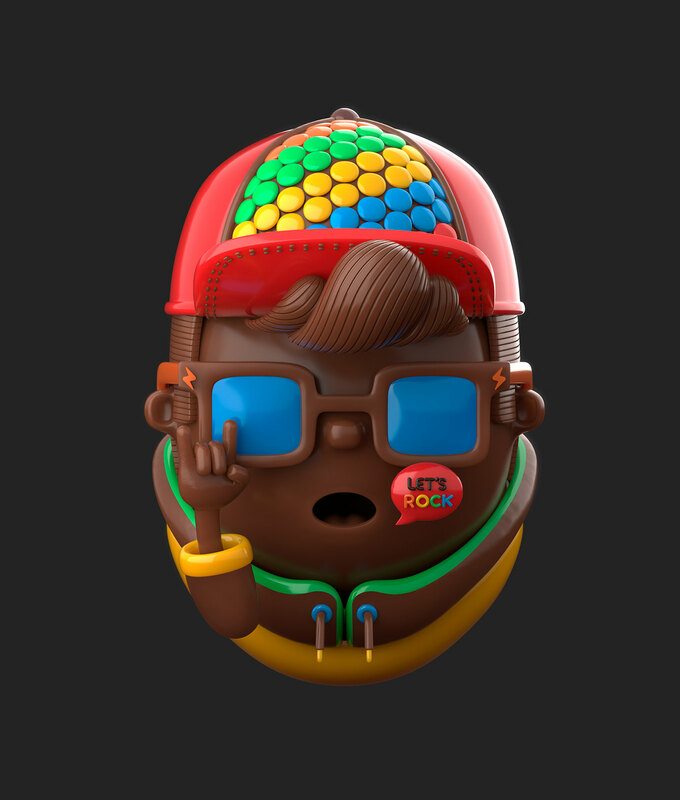 For this year's Easters, Rocklets was planning on giving away headphones as a present with the purchase of Rocklets Easter eggs. 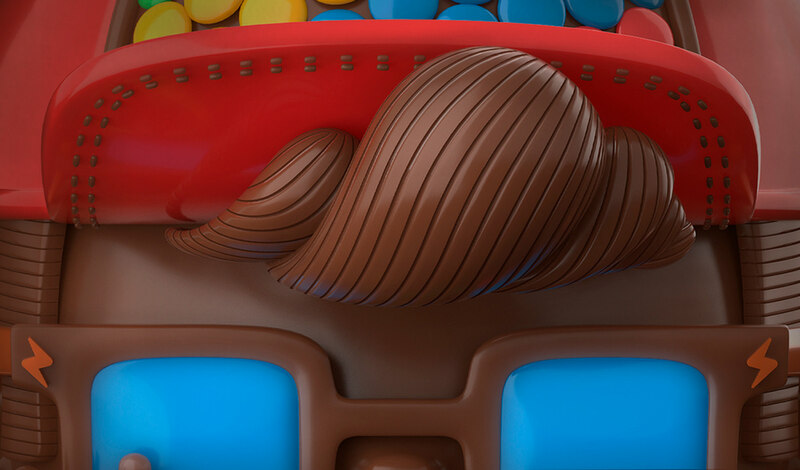 The brand wanted to create two 3D illustrations of chocolate Easter eggs for the packaging graphics. 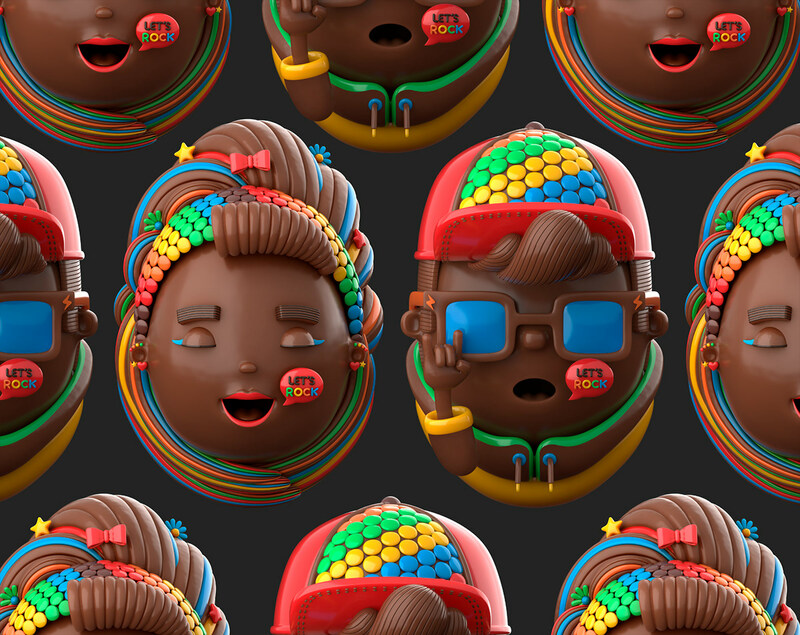 The illustrations had to appeal to teenagers, be cool and fun and be made out of chocolate and Rocklets candy. 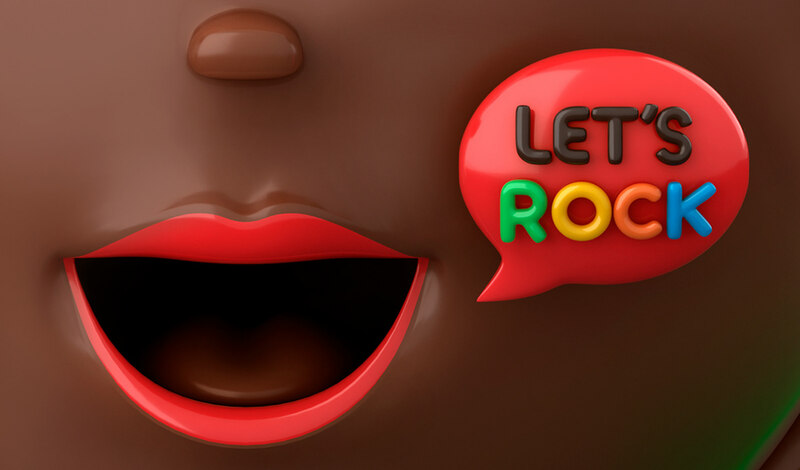 With more than 20 years of experience, Rocklets is the benchmark brand and synonym of chocolate confectionery category in Argentina and the entire region. 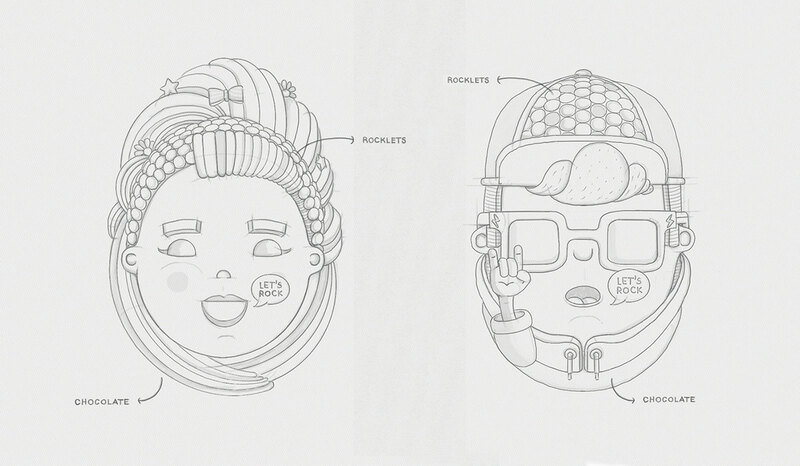 Rocklets brand appeals to kids and teenagers and means fun at all times and without rules. 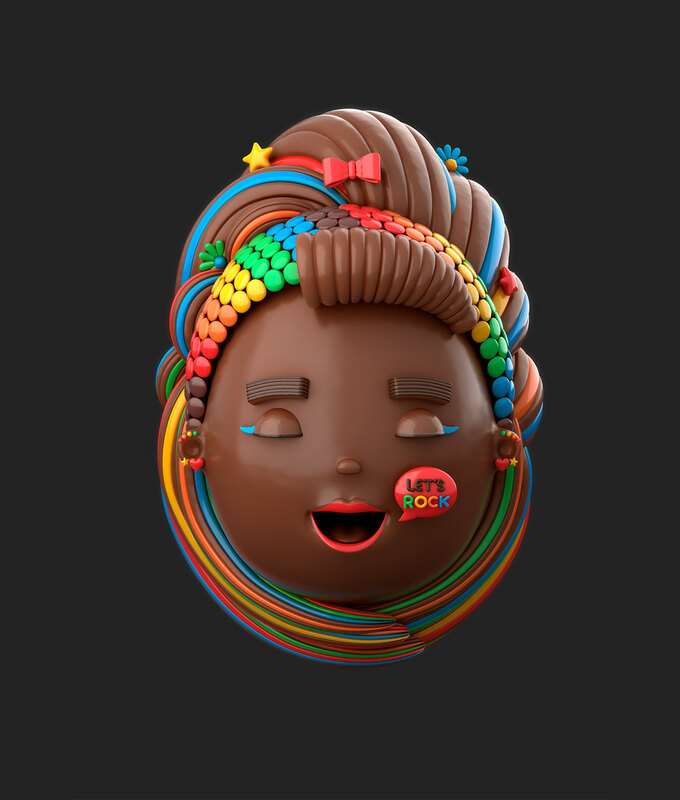 For this year's Easters, Rocklets was planning on giving away headphones as a present with the purchase of Rocklets Easter eggs. 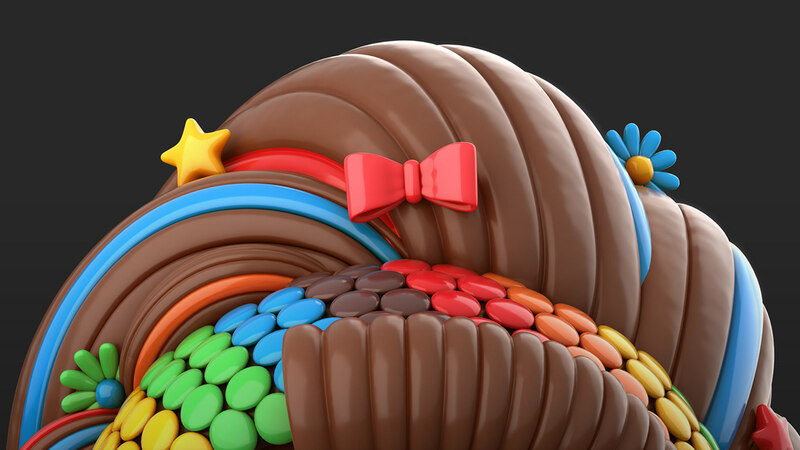 The brand wanted to create two 3D illustrations of chocolate Easter eggs for the packaging graphics. The illustrations had to appeal to teenagers, be cool and fun and be made out of chocolate and Rocklets candy.